PRIME fitness equipment is the new standard in maximizing any fitness program. 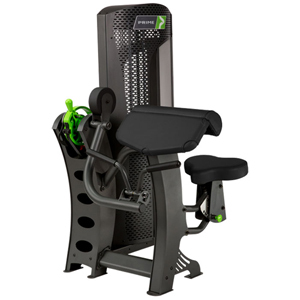 PRIME combines innovation and durability – and it’s easy for any exercise enthusiast to use. Our SmartCam™ cam technology offers up to nine adjustable resistance selections, each targeting a different point within one muscle group. In 2014, PRIME launched a newly redesigned version of the SmartCam technology. This redesigned cam covers the same adjustable settings as the original cam, while yielding an improved strength curve and range of motion. The new SmartCam is featured in PRIME’s new Evolution line. It’s what gets us out of bed in the morning. It’s what pushes us to go one step further, five minutes longer or ten pounds heavier. It’s athletes training for a championship, grandparents keeping up with grandchildren and patients beating the odds. It’s PRIME. At PRIME, we believe that no matter the motivation or destination, everyone can find their personal best. We develop fitness equipment that’s engineered to get you there. Find Your PRIME. PRIME fitness equipment is owned and manufactured by Specialty Fitness Systems (SFS), and is proudly made and manufactured in the USA. 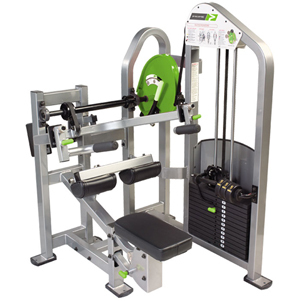 SFS is a leader in the industry and has been the sole manufacturer of Strive Strength equipment since 2009. In 2013, SFS acquired the Strive Strength equipment outright. With PRIME, SFS now offers multiple lines of selectorized and plate loaded equipment, as well as a state of the art functional trainer. 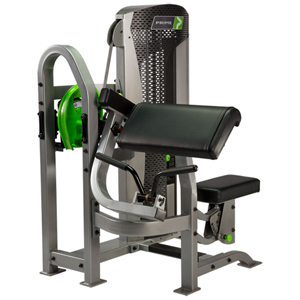 The Evolution line by PRIME sets the standard for strength training equipment. Evolution features a sleek steel design that offers a strong foundation with a modern look. The line also features a precision-cut metal weight stack shield for superior durability and visual appeal. Evolution features our SmartCam technology with an improved strength curve and range of motion. Evolution’s add-on weight system is easy to use, allowing 5-pound increments with just the turn of a handle. The Hybrid line by PRIME is where innovation meets performance. Hybrid features our original SmartCam – which offers nine adjustable resistance selections for a great total muscle workout on one machine. Hybrid also uses our handle adjusted add-on weight system and a precision-cut metal weight shield for a unique design that leads the industry in durability. The Legacy line by PRIME is a modern twist on where it all began. Legacy provides the same great quality and performance you expect from PRIME. Legacy features a sturdy tubular design with a partially enclosed weight stack shield. Using our original SmartCam design and add-on weight system, Legacy offers simple operation for any fitness level.